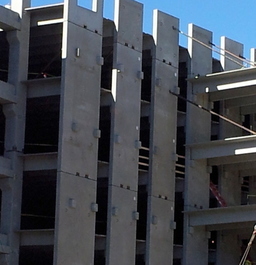 Precast concrete units with reinforced concrete topping. 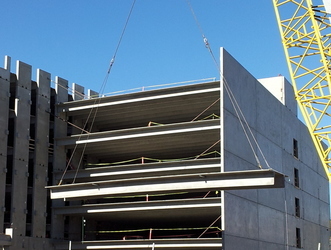 Precast units include hollow-core slabs, solid slabs, a system of precast concrete joists with timber or hollow masonry infill, double-tee units. 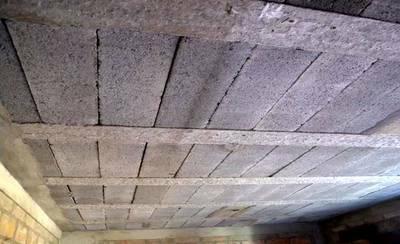 Sometimes overlaid with light-weight roofing. 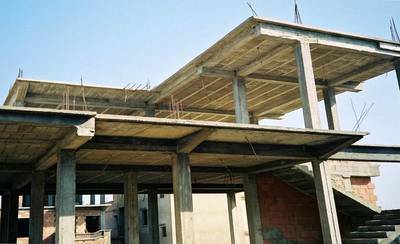 This system is similar to Precast Concrete Floor with Reinforced Concrete Topping.